In line with the growing transfer of businesses from organic SEO to paid ad campaigns, it seems everyone’s testing new ways of displaying ads on their platforms. Just a week after news broke of Google testing ads on the Knowledge Graph, another platform is testing another ad format. 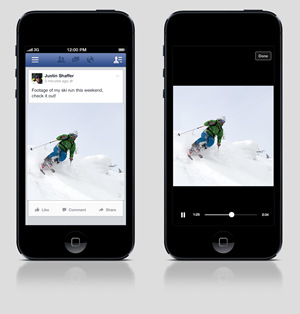 In Facebook’s official blog, they announced that they were testing a new way of viewing promoted videos as video ads. Their goal is to increase video engagement for marketers the same way they’ve tested and increased video engagement for users and pages in the preceding months. On mobile devices, all videos that begin playing as they appear on the screen will have been downloaded in advance when the device was connected to Wi-Fi – meaning the content will not consume data plans, even if you’re not connected to Wi-Fi at the time of playback. Facebook did say that they will be announcing when they will make the feature available for everyone. In preparation for this, having a sound content strategy for Facebook will help give you good materials to promote and share when this feature becomes available. Continuing to create videos with viral potential and tailoring your topics according to the interest of your market will also help increase your engagement for video ads when this feature becomes available. The good news for our partners is you have access to our content marketing, paid ad management, and video creation services through your white label dashboard. Talk to your account manager today to let us know what you need, and we will get our teams started on your video ad campaign. Sign up today to become our partner and gain access to these solutions and more. Keep checking back for more updates!